Slaying a dragon isn’t easy. Just ask Tito Ortiz, Rashad Evans, Mauricio “Shogun” Rua, Randy Couture, Ryan Bader, Dan Henderson or Gegard Mousasi. All of these top fighters had their chance. However, it’s not impossible. Just ask Quinton “Rampage” Jackson, Jon Jones, Phil Davis, Chris Weidman, Luke Rockhold, Yoel Romero or even the aforementioned Shogun. All of these men have been in the Octagon opposite Lyoto “The Dragon” Machida in his long and storied UFC career. Some have slain this dragon, while others have failed. Now, Machida returns to action for the first time in more than two years. Which camp will his opponent, Derek Brunson, fall into? Can Brunson, who has won just one of his last three, slay the dragon? Or will Machida win the battle? 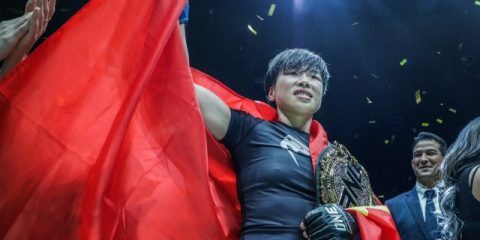 That’s the biggest question looming over UFC Fight Night 119, which takes place in Sao Paulo, Brazil, on Oct. 28, but it’s not the only question. In the co-headliner, eyes are on Demian Maia and his attempt to redeem himself following a failed welterweight title bid. Maia meets up-and-comer Colby Covington, who has just one loss in eight UFC bouts. Four additional bouts round out the main-card offering. At bantamweight, Rob Font clashes with Pedro Munhoz. Jim Miller and Francisco Trinaldo collide in lightweight action. Middleweights Jack Hermansson and Thiago Santos strive to move one step closer to contention when they square off at the Ibirapuera Gymnasium. In the opening bout of the main card, bantamweight knockout artist John Lineker goes head-hunting against Marlon Vera. 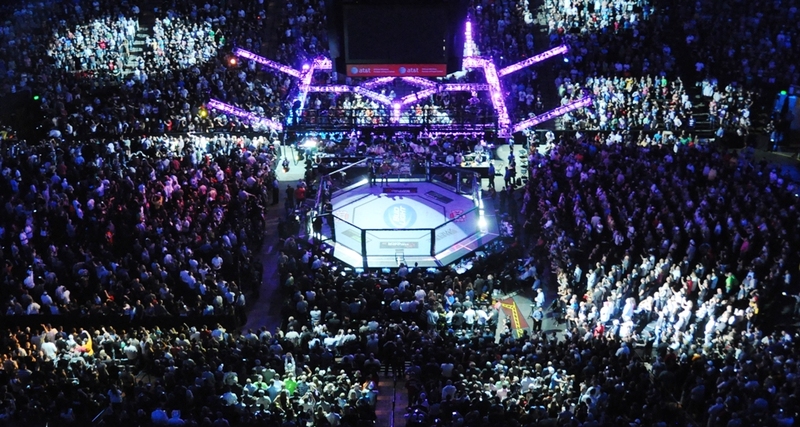 The action kicks off with three preliminary-card bouts on UFC Fight Pass at 5:30 p.m. ET. From there, it’s off to Fox Sports 2 for the four remaining prelim affairs. Finally, the action moves to Fox Sports 1 at 10 p.m. ET for the six-fight main card. Combat Press writers Dan Kuhl and Bryan Henderson preview the event in this edition of Toe-to-Toe. The UFC’s event poster for UFC Fight Night 119 proclaims that “The Dragon is back!” Lyoto Machida is returning after a two-year absence that was in part due to a drug-policy violation by the Brazilian. 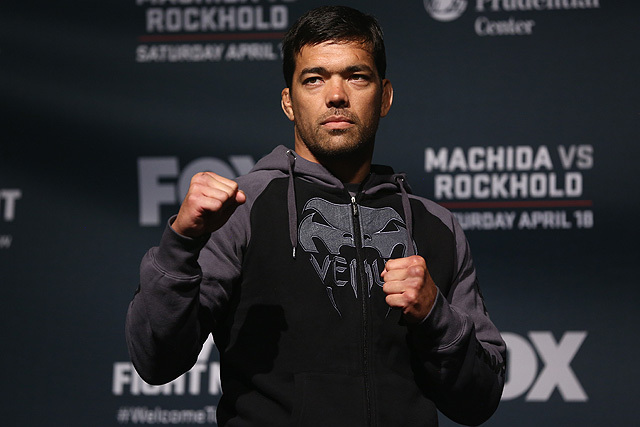 Before his hiatus, Machida had won just one of his last four outings. Is he really back, or will Derek Brunson add a signature win to his resume and conquer “The Dragon”? Kuhl: Is the Dragon back? Who knows? I certainly don’t. Machida had a self-admitted setback for a performance-enhancing drug that he didn’t even know was on the newly minted WADA list, and, frankly, it’s not even a proven performance-enhancer. It is the close relative of a supplement you can buy in any grocery store. 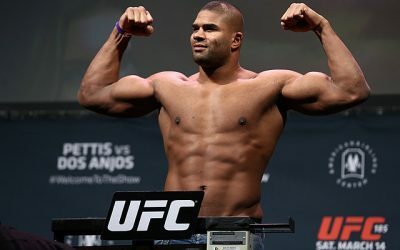 It would be easy to assume that if Machida was juicing a year and a half ago and went 1-3, then we can’t exactly expect him to come out against a spry 33-year-old like Brunson and have any success.That being said, the wrestler Brunson’s best success has come as a hard-hitting striker, and that’s right in Machida’s wheelhouse. Regardless of age or recent fight outcomes, Machida is, by far, one of the most difficult strikers to deal with in MMA history. His elusive, counter-striking karate style sent hard-hitting wrestler Ryan Bader to the mat sleeping. If Brunson comes in expecting to wallop the aging karate master, then he could easily seal his own fate, similar to the many aforementioned Machida opponents. I don’t expect Machida to come out banging, because that’s not his style. I do expect Brunson to come out swinging heavy leather, and I also expect him to get caught. This is not to say that Machida will be right back in title contention, as I doubt he ever will be again. However, once the Dragon gets out of his cave, he’ll knock out Brunson with counterstrikes past the midpoint of the fight. Henderson: This fight might not even answer the question at all. Brunson’s a solid fighter, but he’s also a fighter who has seemingly reached his ceiling. If Machida wins, then it’s a victory over a fighter who’s most notable win came against either Daniel Kelly or Uriah Hall, who are fringe contenders at best. Does that really prove that Machida is back, or does it simply tell us that the Brazilian can still beat guys who are only mildly flirting with title contention? My colleague touched on one aspect of this fight that really will be a deciding factor: the stand-up. Brunson’s a strong knockout artist. He dropped the aforementioned Kelly in the first round. Ditto for the aforementioned Hall. Add UFC opponents Roan Carneiro, Sam Alvey and Ed Herman to the list, too. If Machida isn’t careful, then, sure, he could be next. However, Machida’s striking is far superior to that of any of Brunson’s previous victims. 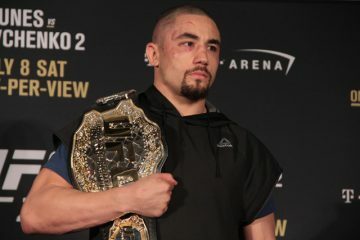 Brunson has fallen at the hands of Yoel Romero, Ronaldo “Jacare” Souza and Robert Whittaker. These fighters are in the same league with Machida. Anderson Silva and even Kendall Grove were able to decision Brunson. That’s not a good sign for the Strikeforce veteran. What we’re looking at with Brunson is the possibility that he either scores a one-strike knockout or he gets out-pointed by a master striker. My money is definitely on the latter. If Machida does win, there will be rumblings that the Dragon really is back. However, I’ll hold my judgement until Machida fights and defeats someone ranked higher than Brunson, who currently sits at No. 7 in the UFC’s middleweight poll. Following an ugly showing in a failed welterweight title bid against Tyron Woodley, Demian Maia now meets Colby Covington in the evening’s co-headliner. Will Maia easily get back on track, or will Covington prove that his 7-1 UFC run is no fluke? Henderson: Covington has been a sneaky-good kind of UFC fighter. He hasn’t made many waves yet as a top welterweight star for the promotion — his last outing at UFC Fight Night 111 was his first main-card appearance with the UFC — but he has put together a solid run. His first two Octagon outings came against extremely outgunned opponents, but he really proved his legitimacy in his decision nod over veteran Mike Pyle at UFC 187. Of course, he turned around and lost to Warlley Alves at UFC 194, but Alves hasn’t exactly been a total bust for the promotion either. 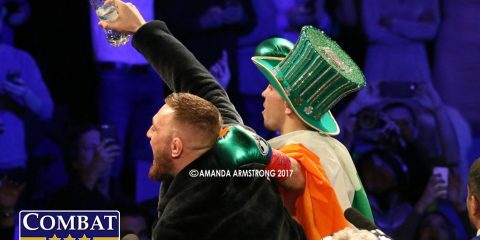 Covington has since reeled off four more wins, including a decision nod over Bryan Barberena, who had previously defeated the aforementioned Alves, and a unanimous verdict against Dong Hyun Kim, an established top welterweight. This makes Covington a solid member of the UFC’s welterweight roster, but it doesn’t put him in the same realm as Maia, who seems to tear it up until he’s given a title shot. 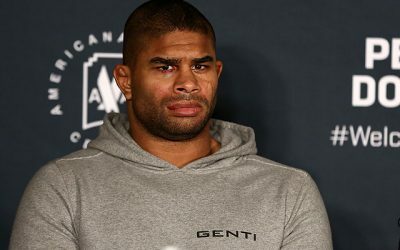 Maia has a decent amount of UFC losses, but these were his opponents: Nate Marquardt, Anderson Silva, Mark Muñoz, Chris Weidman, Jake Shields, Rory MacDonald and the aforementioned Woodley. 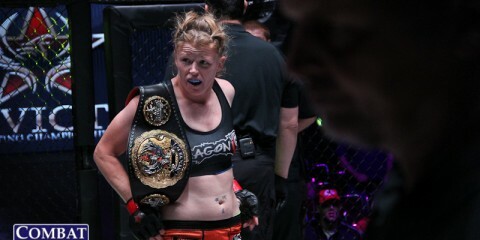 Those fighters, with the possible exception of Muñoz, are (or were at the time of their fight with Maia) among the elite of their respective divisions. Covington hasn’t yet proven himself to be quite that good. Covington’s biggest asset against Maia is his wrestling pedigree. If he can follow Woodley’s blueprint of movement and takedowns, then Covington could have a chance to score the upset. However, the submission loss to Alves is a concern. If Alves could submit Covington, Maia should be able to tie the 29-year-old in knots. Maia has only lost back-to-back fights once in his career. 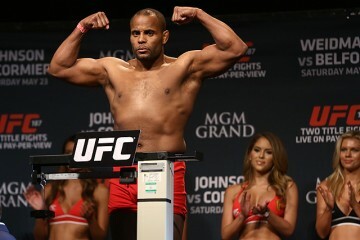 He’s likely to bounce back against Covington and score the submission victory. Kuhl: I picked Covington to lose against Kim and was pleasantly surprised. 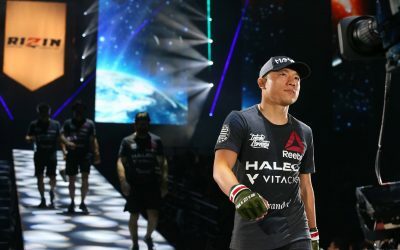 He came into Singapore as the underdog, stood with the striker for three rounds, and handed the Korean his first loss in a few years and only his fourth loss of his 27-fight career. Kim is the same guy that made his Octagon debut in 2008 and once got knocked out by Maia. That’s a huge win for Covington, and why he is back on the main card. I do agree with my colleague that, if this goes to the ground, it could spell trouble. However, there was a time when nobody gave anybody a chance standing with the headliner Machida, but Mauricio “Shogun” Rua introduced a different type of pressure and exposed a blueprint for the downfall of his fellow Brazilian. I’m starting to feel that way about Maia. Maia may have picked up submissions of Carlos Condit, Matt Brown and Neil Magny, but those are prime examples of guys who will bring it and may have had too much confidence in their ability to grapple. Covington won’t mimic Woodley, because that was possibly one of the most boring fights in history. Covington has the ability to make a more exciting fight go the distance to outpoint the Brazilian for a high-profile win. Marcelo Golm — do we need to know this name? Kuhl: I’m not yet sure if we need to know Golm’s name. I’m not quite sure anyone does for that matter. 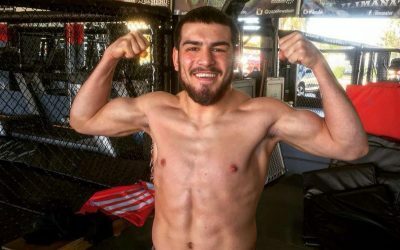 After Carlos Felipe got yanked on short notice for a positive drug test, the 25-year-old local from Sao Paulo got called up to fight Christian Colombo, who is 12 years his elder. Golm’s career consists of five fights with five knockouts, and all but one definitely happened in the first round. 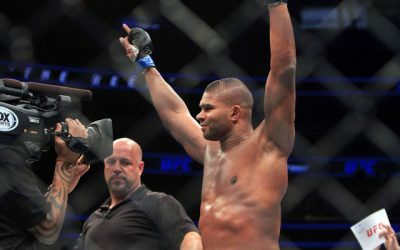 All of his pro fights have been in Brazil in regional promotions, and there is not a ton of info on those events, so I guess we will see if he can get us excited as he faces a physically large Danish opponent who was 8-1 upon entering the UFC but has only been able to pull off one draw and a submission loss in the Octagon. Golm does train in Brazilian Jiu-Jitsu, so that may be to his advantage. Colombo’s only two pro losses were by submission, so it will be interesting to see how this one goes down. Henderson: The combined record of Golm’s opponents when they locked horns with the Brazilian? 1-4. Their combined record now? 2-10. Call me unimpressed. Golm has been able to demolish three rookies and two sub-.500 fighters in his young career. 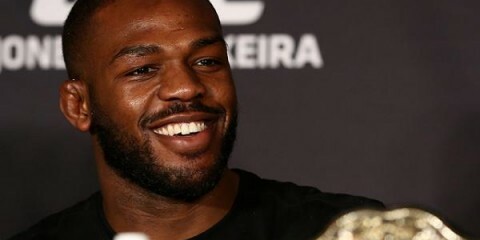 He’s been rewarded by Endeavor, formerly known as WME-IMG, and the UFC for a bunch of quick knockout victories over inferior competition at the lowest levels. He still has a lot to prove, in other words. There’s a chance Golm could turn out to be a killer who just hasn’t been given the opportunity to show off his skills against veterans. However, my money is on an early washout for this UFC newcomer. He’s fighting a veteran who has more experience than all of his previous opponents combined. 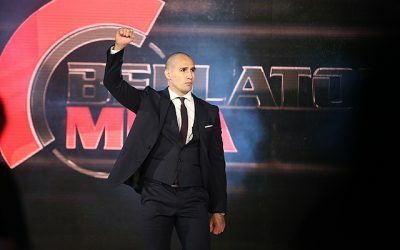 While Colombo hasn’t impressed inside the Octagon, he was able to decision Andreas Kraniotakes in a European regional fight. Colombo should find his first win in the UFC. Golm will probably get one more fight as a thank-you of sorts for stepping up here, but that’ll likely be the end of the road for the newcomer on the big stage. 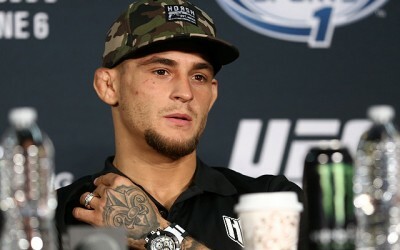 Henderson: There are quite a few intriguing fights on this card — the bantamweight showdown between John Lineker and Marlon Vera; the possible last chance for Hacran Dias against Jared Gordon— but my eyes will be fixed on the flyweight scrap between Deiveson Figueiredo and Jarred Brooks. Figueiredo didn’t generate a lot of buzz coming into his UFC debut, despite sporting an undefeated record. He got everyone’s attention, though, with his second-round finish of Marco Antonio Beltran. The corner-stoppage TKO moved Figueiredo’s record up to a perfect 12-0. Along the way, the Brazilian has collected 11 finishes, including six via strikes and five by way of submission. He’s obviously capable of finishing fights anywhere, and he already holds a victory over reigning Jungle Fight flyweight champ Denis Araujo. Brooks, meanwhile, has accumulated 13 victories in his spotless run. 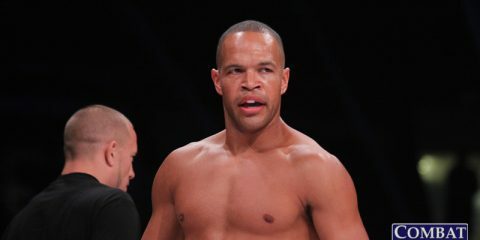 “The Monkey God” had already handed out career-first defeats to Chris Miah and Jun Nakamura before he entered the UFC. The 24-year-old made his Octagon debut with a split-decision nod over Eric Shelton at UFC 214. Brooks has two knockout victories, but he leans more heavily on the ground game, which has accounted for his five submission wins. This is a test for two undefeated fighters in a division that’s hungry for new contenders to throw in the cage opposite flyweight kingpin Demetrious “Mighty Mouse” Johnson. It’s going to be a while before either of these men share a marquee with Johnson, but this fight should produce at least one rising flyweight contender. Kuhl: The match-up between Niko Price and Vicente Luque. Both of these guys are finishers. 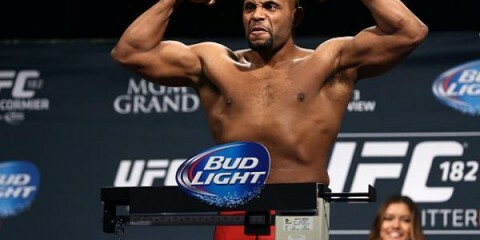 Price is coming off a highlight-reel knockout of Alan Jouban just two months ago, and Luque is coming off his first loss in a couple years — a decision to Leon Edwards — after stopping four opponents in a row. Luque is the underdog going into this one, but he is still only 25 years old and is returning to his home country for the first time in over a year. Both of these guys are positioned to crack the top 15 of the welterweight division, which will likely lead to one hell of a fight that should not go the distance. Kuhl: The card is primed for lots of finishes, which means there will be a lot of TV commercial downtime. I’m going to need things to do, but can’t stray too far from the show, so I’m going to pair this event with grilling out and knocking things off the honey-do list. Stoppage wins are big accomplishments, as are fixing those little nuisance items around the house that have been festering for months. Henderson: Reminiscing about better days. After all, that’s what a lot of the fighters on this card should be doing. Win or lose, Lyoto Machida’s probably already reached his ceiling. The same goes for Demian Maia, Jim Miller, Francisco Trinaldo and Hacran Dias. This card is largely about seeing if these guys have another run left in them. Some might, who knows. Others won’t. However, they might be envious of the up-and-comers that share this card with them who are younger, fresher and poised for their own climb up the ladder.